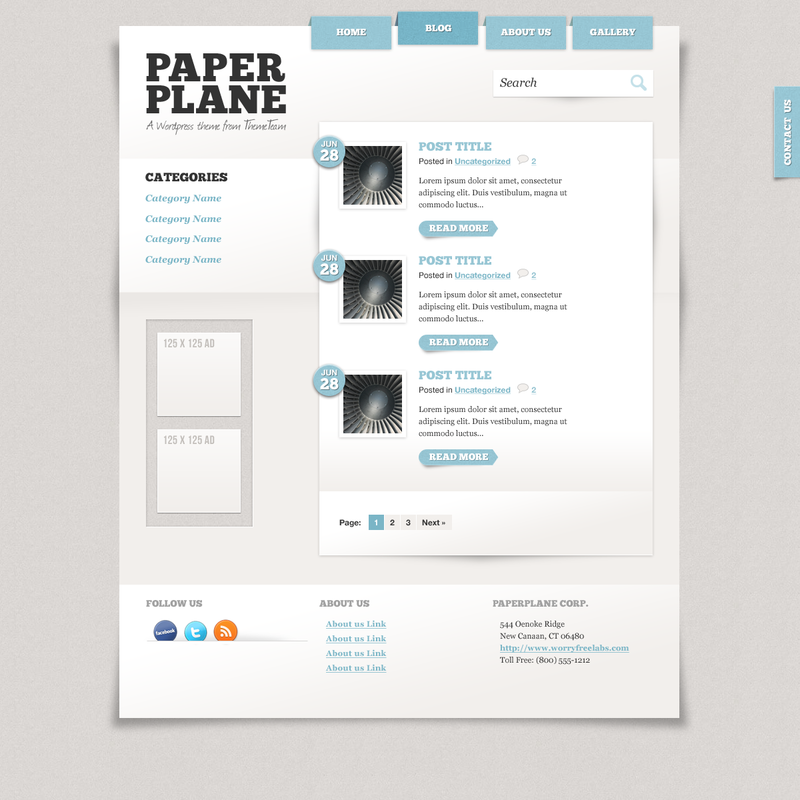 A sheet of paper resting loosely on a textured background serves as the foundation for the Paper Plane WordPress theme. Fun, but simple and clean design elements can be found on each sheet (or page) including menu options on folded pieces of paper and an image slider on the homepage. One of twelve different color schemes can be applied to these design details to change the look of the site. Three page templates – Default, Blog and Gallery – provide the essential pages for any Web site. 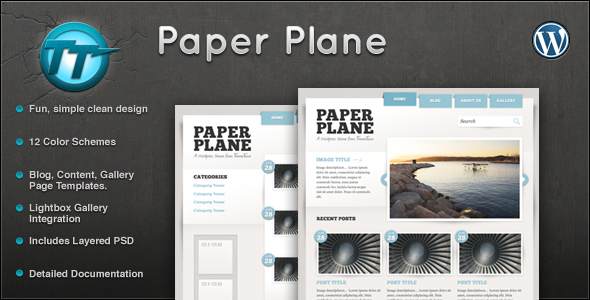 The Gallery template includes free Lightbox gallery integration and all the templates are set up to display banner ads, which can be easily added using the theme’s custom admin panel. 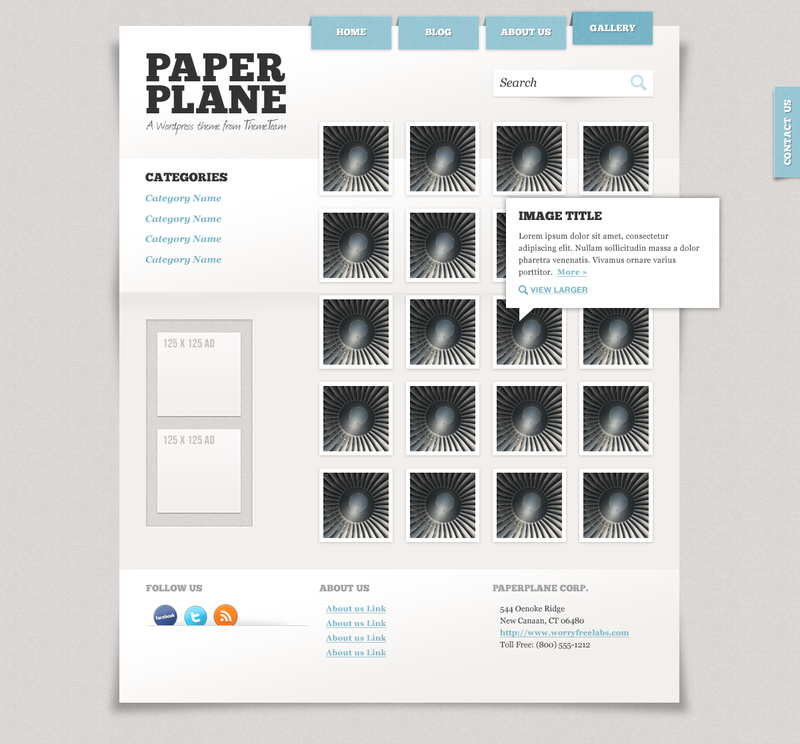 Paper Plane has a built-in contact form that is more than just a simple form on one of the content pages. As a visitor navigates the site, a “Contact Us” tab on the right side of the window remains anchored until it is clicked to slide open a contact form. 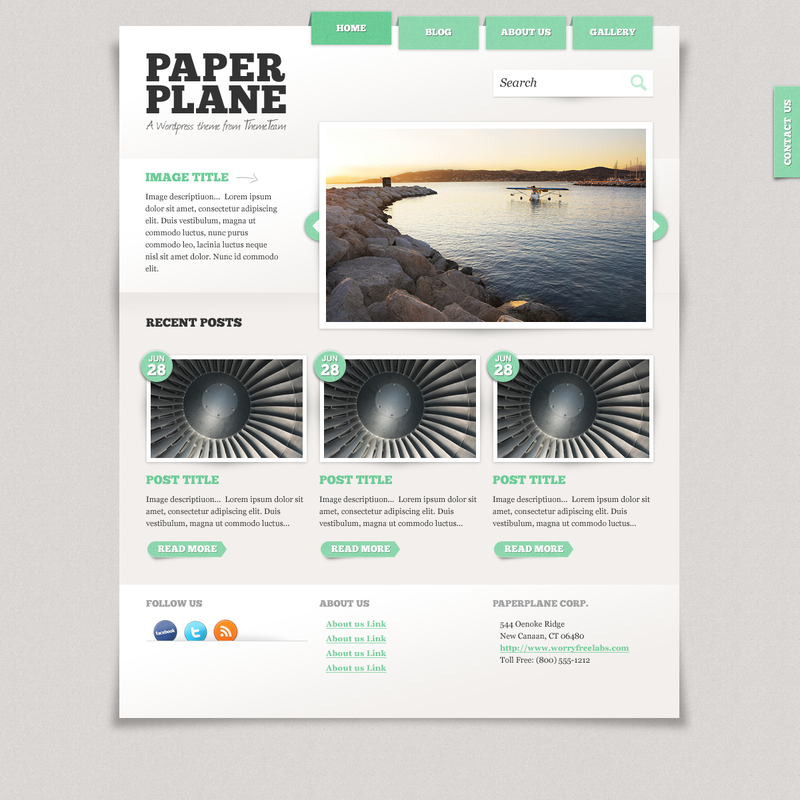 Finally, Paper Plane includes documentation to help you quickly set up your site in WordPress. Version 1.8 – 05/23/2011 – fixes google analytics issue. Version 1.5 – 2010/12/10 – fixes category and tag listing, featured posts.. Version 1.4 – 2010/10/04 – fixes h2 issue on blog post overlapping into share area, menu padding. Version 1.3 – 2010/09/22 – fixes a custom logo. 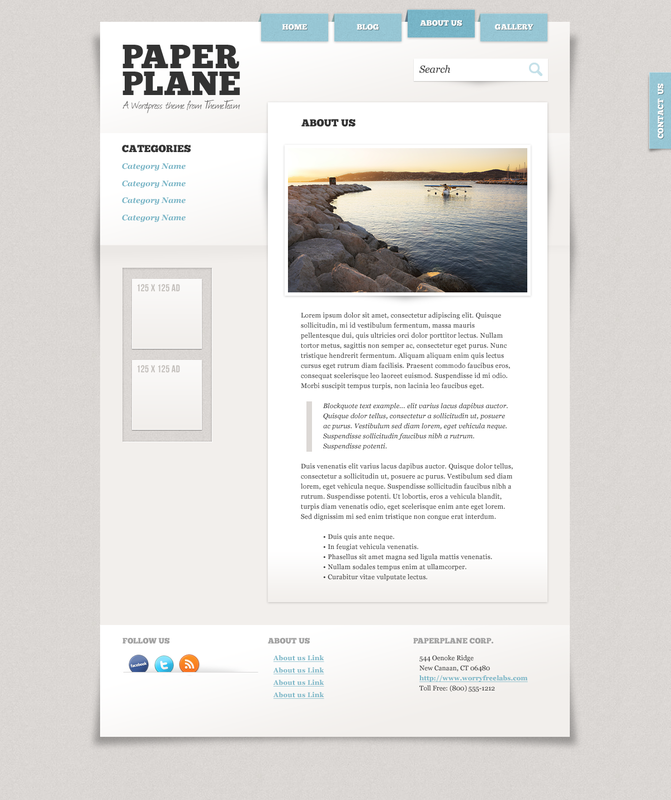 Version 1.2 – 2010/09/13 – updates nav menu tabs (no longer fixed width), fixes paging on the blog template, increases width of the site, adds capacity for 8 banner ads in the sidebar. Version 1.0 – 2010/09/09 – inception!